Kerala, God’s own country, where coconuts are grown in abundance is really a beautiful place. And it is a place which boasts of rich, delicious dishes with yummy flavors and mouth watering cuisines. Today, lets take a plunge into this wonderful land and experience the taste of Kerala. What comes to mind when you think of this beautiful land, other than of course scenic back waters and coconut groves? Is it Aviyal, Sadya (The Kerala Lunch), Payasam, Mor koothu? Or is it tapioca chips, banana chips, tapioca curry? Oh, well, Kerala is filled with interesting dishes which are not only uniquely native to the land, but also have a dabs and dashes of flavors and dishes merged from Mediterranean, Arab and Europe, especially Portugal and Spain. Come, lets start with the first meal of the day – breakfast. Puttu (made of rice flour and coconut), idli, dosa, sambar, chutney, Idiyappam, paal-appam are all prepared with a distinct flavor of coconut oil and coconut flavor. Did you know there are many Puttu varieties like Paruppu Puttu, Kuzhal Puttu, Sora Puttu, Ragi Puttu and Rice Puttu. The traditional Kerala banquet or lunch is known as Sadya. 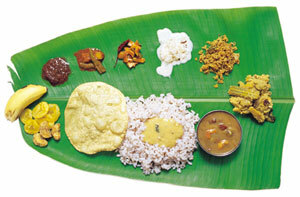 A typical Sadya served on a plantain leaf is composed of boiled rice, Sambar, Parippu, Aviyal, Kaalan, Poduthol, Thoran, Pulisherry, Olan, Pulinji, Pappadam, Mooru, Kaya Upperi, Sharkara Upperi and for desser, banana and Payasam. Aviyal is a very famous dish with chopped mixed vegetables. 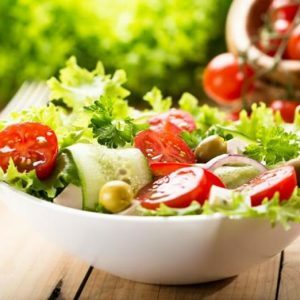 It is very healthy and all those veggies which you wanted your child to consume and did not know how to do goes into this, because this is one dish which no one can resist all over India. It can be into a gravy and eaten with rice or cooked like a semi-solid dish and used a side dish. Thoran is a dry side dish, mainly a single vegetable and mixed with grated coconuts, coriander, and spices and garnished with coconut oil. 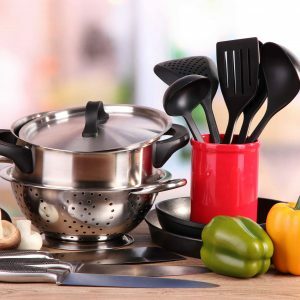 The most popular thorans from your favorite website are Payar Thoran, Beans Thoran, Spinach Thoran, Cabbage Thoran, Cheera Thoran, Raw Banana Thoran, Vendakka Thoran, Snake Gourd Thoran. Guess what was my favorite from these? Oh yes, still young at heart very much. Raw Banana thoran tastes yummy. Check it out. Puliinji is a dark brown curry made of ginger, tamrind, jaggery and green chillies. It is so tangy and if refrigerated stays fresh for a week. It is not only part of the Sadya but can also be used as a side dish for the next day’s breakfast. Olan, made of Ash gourd, pumpkin, lentils, coconut, green chillies and spices is an awesome part of the Sadya. My young toddler loves this best. Guess which part of the Sadya is that. Oh yes, the pappadams. There are so many different varieties of papads. Rice Papads and Lentils papads are the two most common papads. The famous and most favorite Payasam dessert of Kerala is Ada Pradhaman. In Kerala desserts and sweets are usually served warm or hot. There are not many cold desserts. Amongst the Payasam, Paal Payasam (milk Payasam) and Ada Pradhaman Payasam are most famous. It is made of milk, cashews, sugar, dry grapes fried in ghee and added to the boiled rice. Paripu Payasam, Pazham Pradhaman, Jack fruit Payasam, Wheat Payasam are also quite popular. Unniappam, Pazham Pori, Kozhakattai are other famous sweets. Banana Chips, the most famous savory is made of sliced bananas fried in coconut oil. It is flavored with salt and chilies. You should also check out Sweet potato chips recipe. Vishu is the New Year festival of Keralalites. Click here for all recipes prepared on Vishu. A majority of the state is near the sea coast. So, how can sea food not be popular? Kerala Fish curry is the most popular sea food. Check out the recipe here. Check out a video recipe for the same here. Meen Pollichathu, Meen Vevichathu (A red fish curry), Fish Molee, Meen Peera are just some common and popular fish dishes from Kerala. Being along the sea coast, fish is the most common non vegetarian dish in Kerala. The God’s own country has a very traditional and exquisite cuisine. It is not just a lovely state to tour with beautiful back waters and scenic locations to shoot. It is a place where all the senses are titillated, especially that of the taste buds. Go ahead; plunge into the backwaters and in the cuisine of Kerala alike. 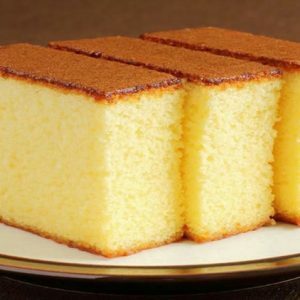 Feel free to comment or share your thoughts on this "Cuisine from the God's own country" article from Awesome Cuisine.